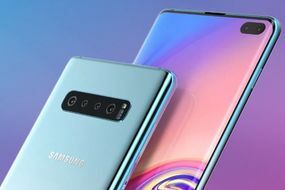 Samsung’s next flagship offer to the world is presumed to be Galaxy S10, a highly anticipated handset by market fans. Expected to be unveiled in February this year, the S10 will come in at least three varieties. Express reports that all the three models of the Galaxy S10 are expected to come with a radical redesign, especially with regard to each model’s screen. The Galaxy S10 has been heavily rumoured to arrive with an all-screen aesthetic, meaning it could flaunt incredibly minimal bezels overall. However, it has been speculated the device could feature a hole in its panel for its front-facing camera. The daily says that at the start of January leaker Evan Blass posted an image of a claimed Galaxy S10 unit on Twitter. The hardware was shown with minimal bezels on its top and bottom and a circular cut out on the right-hand side of its display for its front-facing lens. Such a design choice appears to be a way for the South Korean phone manufacturer to avoid putting a traditional notch on its handsets. While the cheapest version of the Galaxy S10 and the standard model of the hardware have been rumoured to arrive with a single front-facing sensor, the Galaxy S10+ has been claimed to come with two. Because the Galaxy S10+ is rumoured to have two front-facing sensors, it was assumed the cut-out within the phone’s display would be bigger to accommodate for the added functionally. However, the exact function for the secondary camera is still unknown. But it could deliver a wider angle for selfies similar to what is currently offered on the Google Pixel 3 and Pixel 3 XL. Although the new leak appears to give fans an exciting pointer to the firm’s next phone, Samsung has not made any comments yet. February 20 is the day the Android faithful should look forward to.